Follow the steps below to use the Analytify for EDD Add-on the right way. Download Analytify PRO and EDD Add-on from your downloads section. Upload and Activate both the plugins on your site. Activate EDD Add-on same as you did for Analytify PRO license. License activation is necessary to receive the updates automatically at your plugins page like other plugins/themes. After activation, Go to Admin Settings in your Google Analytics account for E-commerce Tracking. Select your Google Analytics website profile and go toE-commerce Settings section. 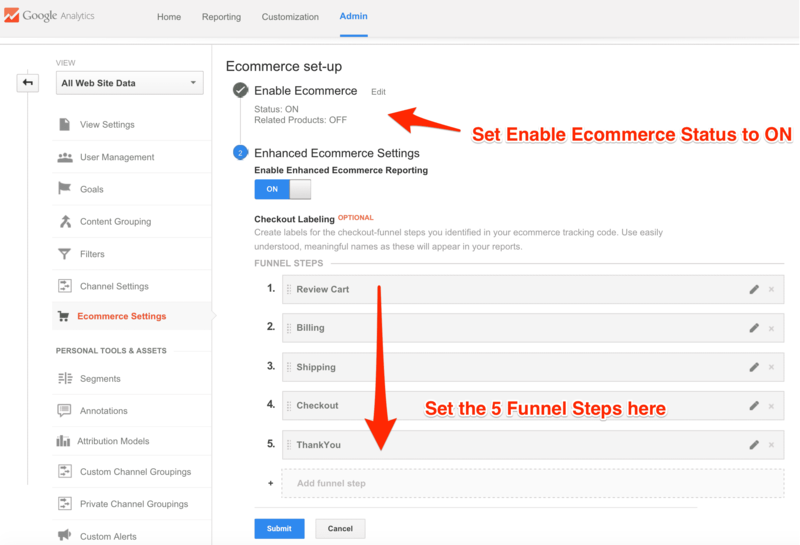 Check the Screenshot below to match your Funnel Steps and Enabling E-commerce status to ON.